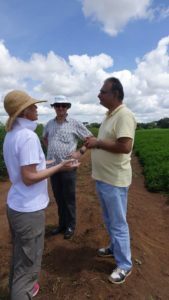 As part of the recently concluded Governing Board Meeting, ICRISAT Board members visited several farmers’ fields in Malawi to witness firsthand the impact of different agricultural models to raise productivity and efficiency of smallholder farms in the region. A few promising models are shared here. Dr Peter Carberry, Director General (Acting), ICRISAT, gave accolades to Manzure noting, “You are an inspiring leader and see the big picture. You have also used your networks to bring the farmers on board. 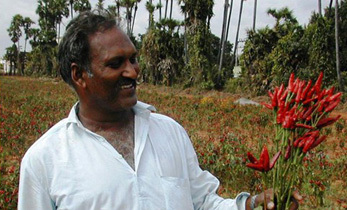 Farmer Manzure Beda is a medium size farmer who provides a high quality training ground to smallholder farmers, guiding them on producing seeds. ICRISAT has been working with Manzure for 17 years to transition many farmers from tobacco, to viable food crops. Manzure says he has not mechanized because it better replicates what is possible for the small holder farmers. It also provides seasonal employment which he says helps locals pay school and medical fees. Malawi is a small land size with a large population, so increasing the arable land for farming is very difficult. The focus instead needs to be to maximize returns from the existing land. Manzure agreed to be a Smart Food ambassador to take forward the challenge to popularize the more nutritious foods like millets and legumes. ICRISAT scientists and farmers explaining the participatory selection process and benefits in better pigeonpea varieties for intercropping. Another model to assist farmers is an innovation platform where farmers, scientists and others meet each month to look for opportunities. 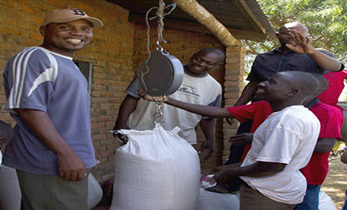 The innovation platforms are organized by the National Smallholder Farmers’ Association of Malawi (NASFAM). There are two committees are set up under the platform – a market and a production committee. 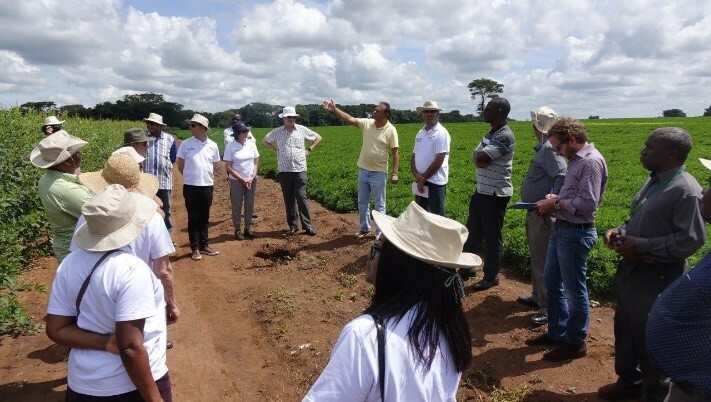 Farmer-to-farmer trainings occur, along with sharing information on nutrition and food safety. 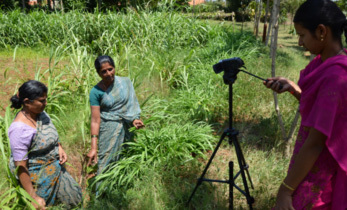 Variety selection discussed on these platforms led to ICRISAT releasing improved varieties and ensuring seeds go into the community seed bank, making them easily available. The county seed bank is a great success story of perseverance. It started in 2007 with 10 members. Five of these members were able to receive seed and only two were able to pay back with double the quantity lent. 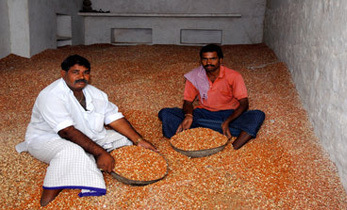 In 2009, eight people were able to pay back, reaching 160 kg of seed in the bank; 10 more people joined the club. 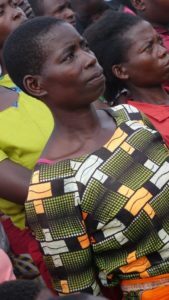 Farmer Doris Weisman said that after paying back the seed loan she was able to pay the school fees and bought some bricks to build a new home. By 2012, there were 18 new clubs, and by 2015 there were 35 clubs in all. Now the seed banks have 9,000 kg of seed and 1,600 farmer members. Each seed bank can cover a radius of 15 km. The clubs are so large that now they are looking to purchase their own land and build a small warehouse. 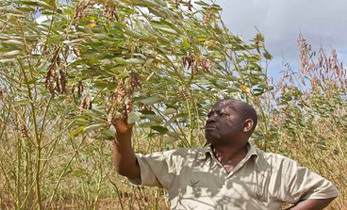 Pigeonpea was introduced to satisfy export markets. 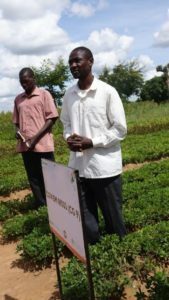 The short-duration varieties were most successful to fit in with the seasons of the other crops like maize and beans and more recently with groundnut as a new system. ICRISAT encouraged farmers to consume the crop as well with a variety of products ranging from pigeon pea cake to pigeon pea milk. Some challenges to domestic consumption is that there isn’t any processing equipment to deshell and split the pigeon pea; people don’t like to use it whole as this lengthens the cooking time. As a result, most pigeonpea is eaten as a green vegetable and some as a flour for porridge. Dr. Wanjiku Gichohi, ICRISAT Nutritionist, has been undertaking consumer studies to identify recipes that fit all criteria of being tasty while also nutritious and marketable. Malawi has a high level of stunting at an average of 37% (National Statistical Office (NSO) [Malawi] and ICF. 2017. Malawi Demographic and Health Survey 2015-16. Zomba, Malawi, and Rockville, Maryland, USA. NSO and ICF). This central region is extremely high at 45%. To help break this, ICRISAT has also started a major effort to increase consumption of these more nutritious crops and add diversity to the maize dominant diets, with Malawi recognized as having the second highest consumption of maize in Africa. “If the farmer is sick, everything stops,” notes Edmund, a local farmer. 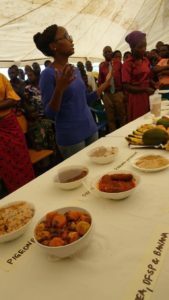 ICRISAT Nutritionist, Dr Wanjiku Gichohi, has been undertaking consumer studies to identify recipes that fit all criteria of being tasty while also nutritious and marketable. 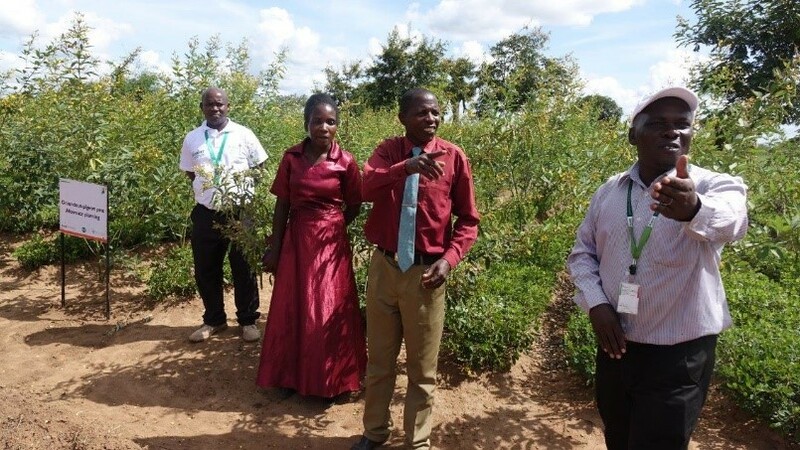 Learnings, through farmer to farmer trainings, have also been sourced from northern Malawi which has more consumption, menu variety and processing especially of pigeonpea. 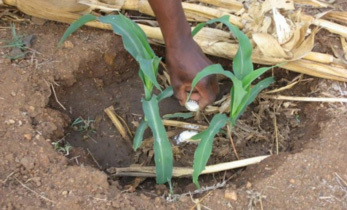 Sanitation and hygiene as well as food safety (post-harvest aflatoxin mitigation in maize and groundnuts) are also integrated as key components of nutrition education. Future work will include efforts to understand what children like, how to change dietary habits, creating recipes to suit the local communities and building commercial interest in urban and rural markets for new processed products.